Returning Bayer 04 Leverkusen midfielder Kevin Kampl showed that playing football is just like riding a bike against Eintracht Frankfurt on Saturday. The Slovenia international scored within 32 seconds of his second-half introduction at the BayArena and says he is now more determined than ever to help Die Werkself secure a place in next season's UEFA Champions League, following a taxing 55-day stint in the treatment room with a broken leg. 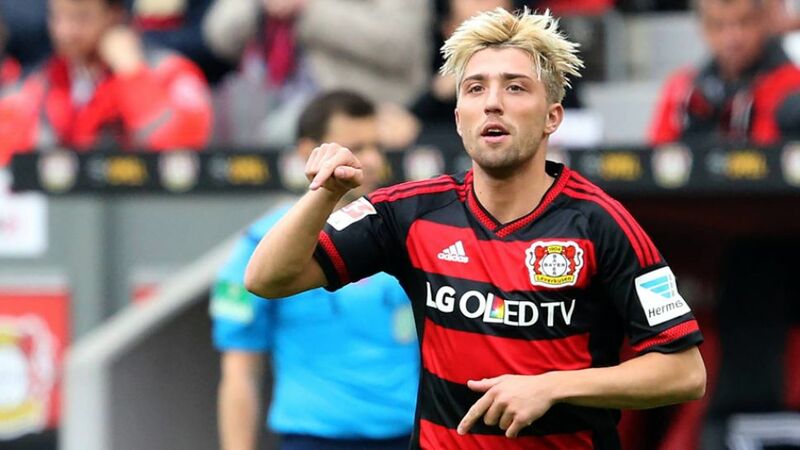 Question: Kevin Kampl, congratulations on the 3-0 win and your fantastic goal. What made it so difficult before you opened the scoring? Kevin Kampl: We all knew what a difficult game it was going to be. Even the teams at the bottom are tough to play against. Frankfurt also had the better chances, which Bernd Leno did really well to keep out. We got a bit lucky, but we had more in the tank and did really well in the second half. You have to win games like these. We didn't always get the rub of the green in the Hinrunde.